West Virginian says joining Ku Klux Klan in 1940s was his "most egregious mistake"
Washington (CNN) -- When Robert Byrd came to Congress from West Virginia, a postage stamp cost 3 cents and kids were clamoring for a new toy called Mr. Potato Head. On Wednesday, almost 57 years later, Byrd became the longest-serving member of Congress in history. Two days before he turns 92, the eloquent legislator known for his encyclopedic knowledge of Senate rules and history surpasses Carl T. Hayden, the Arizona Democrat who served a total of 20,773 days in the U.S. House and Senate. With his 20,774th day representing West Virginia -- six years in House and then nearly 51 years and counting in the Senate -- Byrd sets a record for longevity unlikely to be broken as the political climate turns toward term limits and growing public dissatisfaction with Congress. In a statement issued by his office, Byrd expressed his gratitude to "the people of the great State of West Virginia" for their long-standing confidence in him. His only regret, he said, was that his wife, Erma, who died in 2006, would not be with him. "I know that she is looking down from the heavens smiling at me and saying congratulations my dear Robert -- but don't let it go to your head," Byrd's statement said. In a career representing the West Virginia coal-mining country from which he emerged, Byrd has cast more Senate votes (18,000-plus) and held more leadership positions (including two stints as majority leader) than any other senator. He has never lost an election. He was raised by an aunt and uncle after his mother died when he was a year old, and he did not graduate college until he received a degree in 1994 from Marshall University. In a sign of his Appalachian roots, Byrd was an avid fiddle player and appeared twice on the television program "Hee Haw." He gave up playing in the 1980s because of a tremor in his hands. His early political years displayed some of the deeply rooted racism of the American South. Byrd was a member of the white supremacist Ku Klux Klan in the early 1940s, and later called it "the most egregious mistake I've ever made." In 1964, he voted against the Civil Rights Act pushed by Democratic President Lyndon Johnson. But Byrd later followed a more traditional Democratic path. An ardent foe of President George W. Bush's policies in the aftermath of the September 11, 2001, terrorist attacks, Byrd opposed creating the Department of Homeland Security in 2002 and called Bush "dangerous, reckless and arrogant" in February 2003, six weeks before the Iraq war started. Three months later, he criticized Bush's landing a jet on the USS Abraham Lincoln to signal the end of the Iraq war as "flamboyant showmanship." On June 12, 2006, Byrd became the longest serving senator in history, and was re-elected to his ninth consecutive Senate term five months later. His number one priority has always been the people of West Virginia. Things have changed since he arrived in Washington as a new congressman in 1953, along with the first Eisenhower administration. Gas cost 20 cents a gallon then, and the average annual salary was less than $4,000. 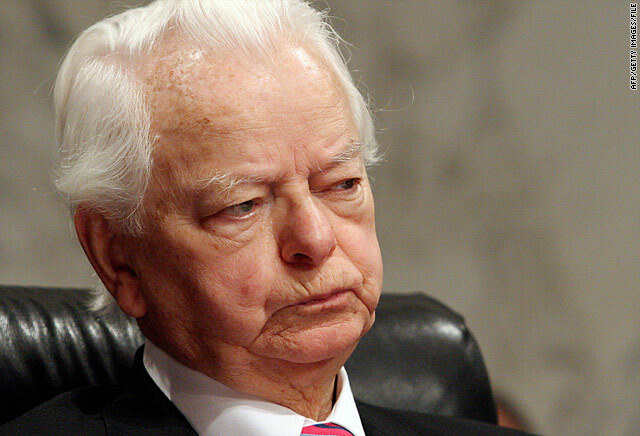 Ten presidents later, Byrd is known for his devotion to his state and constituents. "His number one priority has always been the people of West Virginia," Senate Majority Leader Harry Reid, D-Nevada, says in a statement on Byrd's Senate Web site. "It has been a great example for all of us to never lose sight of the fact that you are elected by the people from your state and the people in your state should have first priority." Byrd's statement marking Wednesday's achievement reflected that thinking. "Although we are marking a longevity milestone, it has been the quality and dedication of service that has guided me over the years," Byrd said in his statement. "I have strived to provide the people of West Virginia the best representation possible each of the 20,774 days which I have served in the Congress of the United States." He thanked his constituents for their support and for "putting their trust and faith in me." Slowed by illness in recent years, including a six-week hospital stay this year because of a staph infection, Byrd concluded his statement with typical bravado. "The only way for me to close on this historic day is to say that I look forward to serving you for the next 56 years and 320 days," he said. "Thank you and may God bless you."